Internationally-recognized and multi-award winning fiction author Ben Fountain graduated from the University of North Carolina at Chapel Hill before attending Duke University School of Law. He now lives in Dallas, Texas. Fountain’s most recent novel, Billy Lynn’s Long Halftime Walk, has been published in fourteen languages. It won the 2013 National Book Critics’ Circle Award for fiction, the Flaherty-Dunnan First Novel Prize, the PEN New England-Cerulli Award for Excellence in Sports Fiction, the Los Angeles Times Book Prize for Fiction, and the Jesse H. Jones Award for Fiction. The novel was also named a “best book of the year” on over twenty lists, including Time, The New York Times, The Washington Post, Kirkus Reviews and Publishers Weekly. It was a finalist for the National Book Award. The New York Times bestselling book is being optioned for a feature film by the Ink Factory, Ltd. and is has been made into a feature film with Ang Lee, director of Life of Pi, Brokeback Mountain, Crouching Tiger, Hidden Dragon, among other films. Cast members include Steve Martin and Joe Alwyn. Fountain's fiction has appeared in Harper's magazine, The Paris Review, Zoetrope: All-Story, Esquire, and Stories from the South: The Year's Best, and he has been awarded an O. Henry Prize, two Pushcart Prizes, two Texas Institute of Letters Short Story Awards, and many other honors. He is the former fiction editor of Southwest Review. His nonfiction writing has appeared in The New York Times and The New York Times Magazine, among other publications. His reportage on post-earthquake Haiti was nationally broadcast on the radio show This American Life. Fountain has taught at the University of Texas at Austin, University of Idaho, and the University of North Carolina at Wilmington. He recently joined the Texas State University Department of English as the University Endowed Chair in Creative Writing from 2014-2016. His latest book, Beautiful Country Burn Again, is a book of essays on the 2016 US Election, and is published by Ecco. Ben Fountain and Malcolm Gladwell discussed the book at Books Are Magic—read the transcript here. Read excerpts in LitHub and The Guardian, and find interviews in Rolling Stone and on KCRW. "[Ben Fountain's] masterful original phrasings make the book worthwhile, urgent, and timely." Named one of the 9 best war novels ever written, by We Are The Mighty in March, 2015. 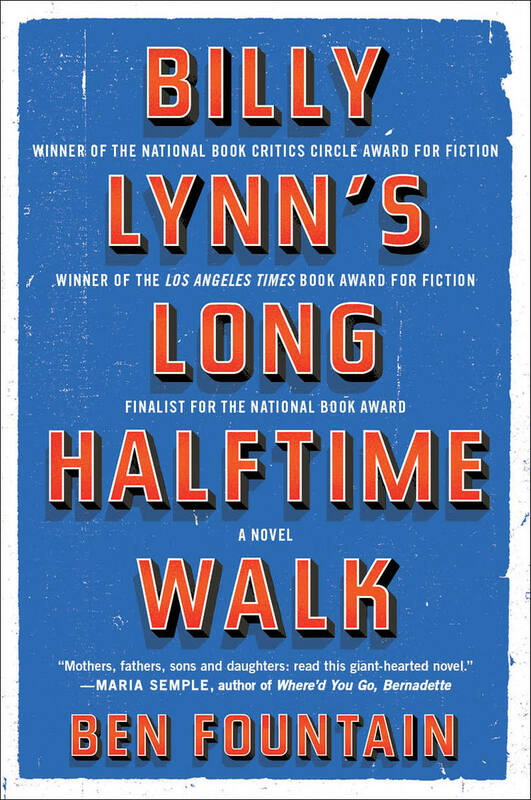 Billy Lynn's Long Halftime Walk named one of the 21st century's 12 greatest novels, according to a BBC poll of book critics in January, 2015.